I saw a couple of bananas sadly fading away on the countertop. 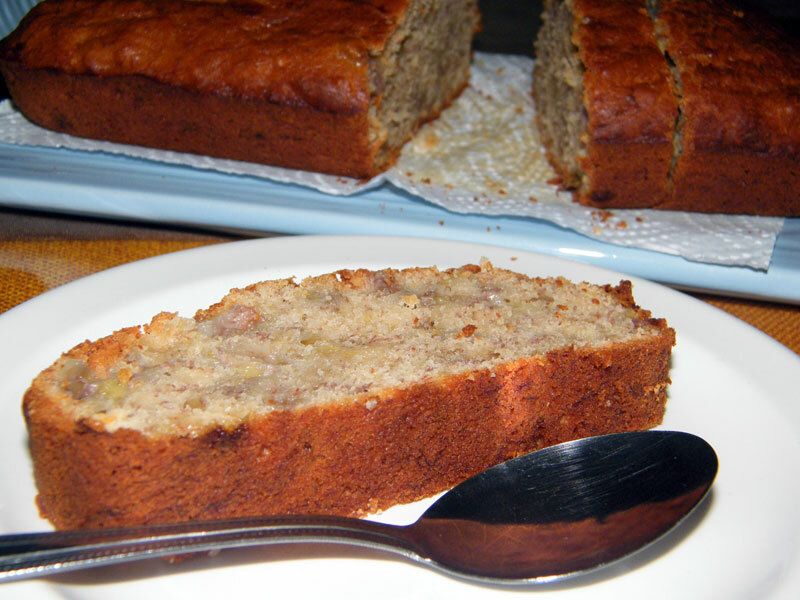 While it's no fun eating overripe banana, there is a better alternative: make banana bread! 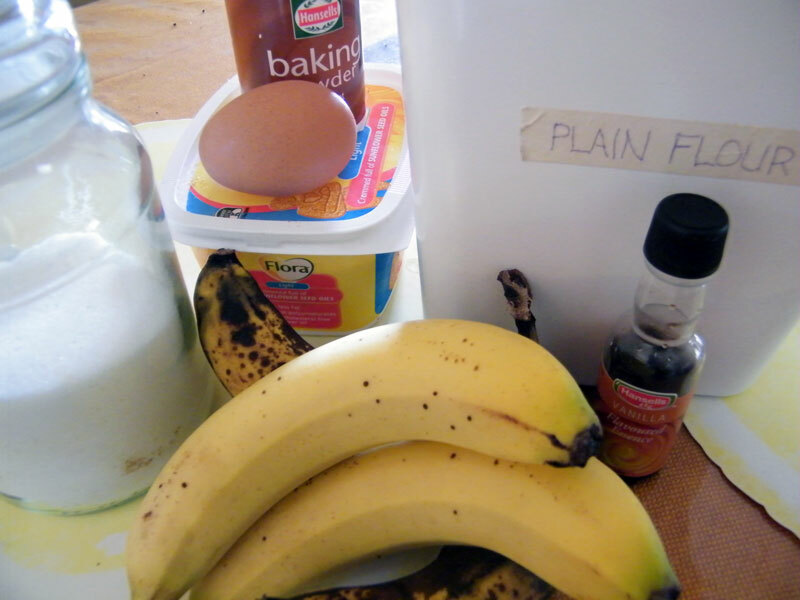 I added a couple more good bananas to the mix and I'm ready to go. This recipe calls for baking soda, but all I found in the pantry was baking powder. Which is not the same, but about.com said I can make the substitute (3:1). So I did just that. The bread did not rise as much as I expected though, but it tastes awesome just the same. 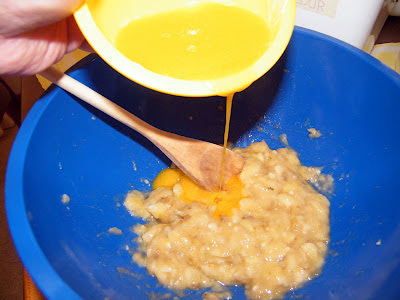 Mash the bananas, then add the melted butter and mix. 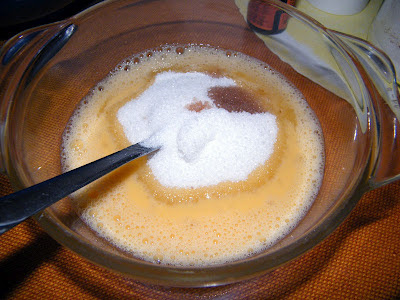 In a separate bowl, scramble the egg, then mix in the sugar and vanilla. Add this to the banana-butter mix, plus the baking powder/soda and combine all these together. 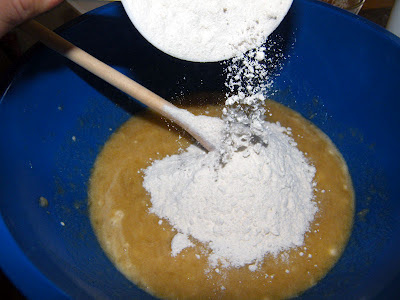 Finally, add the flour and mix. 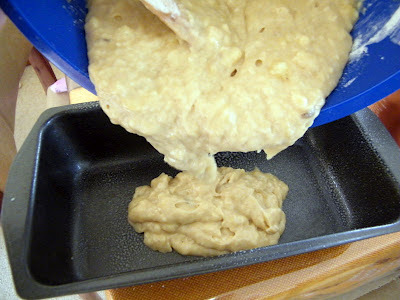 Pour into the loaf pan and bake for an hour. Cool, remove from pan and slice to serve. One of my favourites. 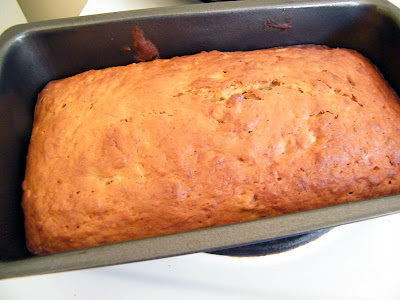 I need to make banana bread too. I have a couple of 'black' bananas on my table. lol! i love banana bread esp. the one from red ribbon and baguio country club!